Franky Verdickt, born in 1971 in Belgium and author of two books “The South Street Village” and “Nobody Likes To Be Hindered by Worldly Troubles“, mixes documentary photography with conceptual ideas. His work suggests a thin line between reality and fiction. His personal work has been awarded and published internationally. Later this year, he will publish his third book on the ambivalent situation of Taiwan. The project of TOTEM examines the notion of living as the fundamental key experience that opens and unlocks other experiences. It’s the co- existence between man and reality and is the most fundamental of human existence, it creates a frame where in all becomes possible. Living can not be seen as an activity, but is foremost the symbolic transformation of the endless time into history, to create the wild and nameless nature into a world. Living in this undefined space means to create a center, to mark a point, a topos, to create a place to whom one can connect. From that moment the totem is placed, the space is structured, one can leave and return, and can be at home in a human world. T O T E M shows how men create a place for living. Before these places became into living places, they were farm fields or wastelands outside the nearest town or city. Now they are a sort of urbanized countryside, pretending to be still rural.They seem like 21st century tribal settlements.These places should give identity and create a sense of community, where commuters charge their being-at-home or share the same park. 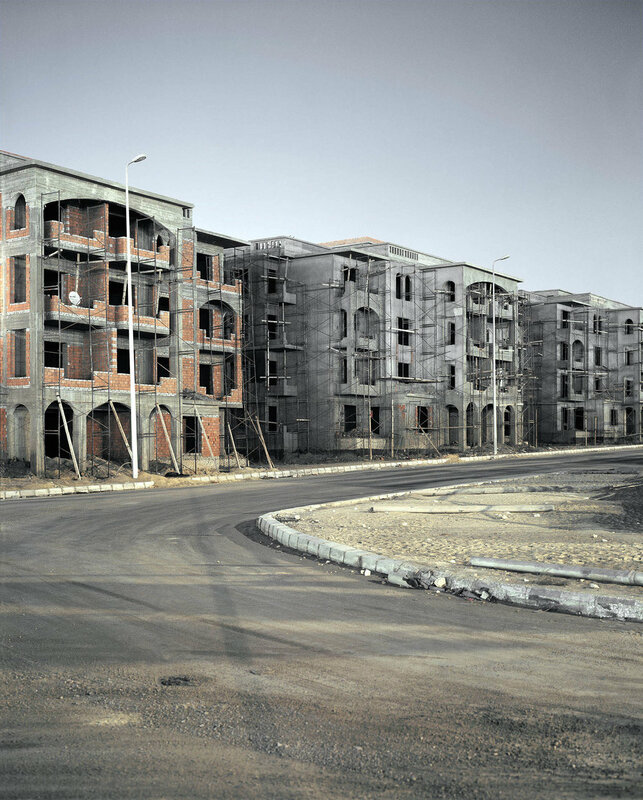 The images were taken in the Egyptian desert, Jewish settlements in the Westbank, Belgium, Azerbaijan, Brazil and China.